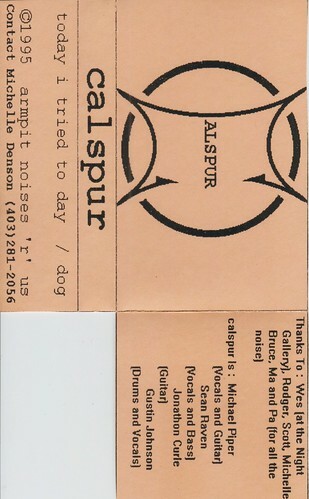 We don't know much about Calspur. This tape is distinguished primarily by its unorthodox (read: batshitinsane) folding method. They have a myspace (without songs, and only 4 friends! ), but it doesn't explain why this tape folds the way it does.